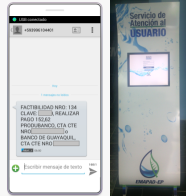 The University of YACHAY automated its administrative processes with COBUS BPM. Automation of 28 flowcharts, 1383 flow nodes, 22 forms, 242 templates, 49 reports of process indicators, 15 managerial reports and more than 15,000 fields in the forms!! !